Dr. Amy Laursen joined the University of South Dakota in the fall 2017. As Adjunct Professor in the music department she teaches Written Theory and an online section of World’s Music. Previously, Dr. Laursen was the applied Horn Instructor at Henderson State University in Arkadelphia, AR. There she taught applied horn, music theory and music education courses – including coordinating the annual HSU Elementary Music Workshop. 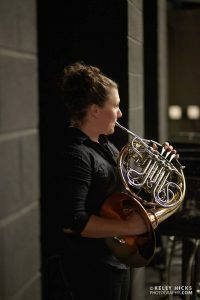 While at HSU, Dr. Laursen regularly performed with the HSU Faculty Brass Trio, Faculty Brass Quintet, Faculty Woodwind Quintet, Natural State Brass Band, the Orchestra of New Spain where she played natural horn, and substituted with the Texarkana Symphony Orchestra and the Arkansas Symphony Orchestra. Dr. Laursen completed her DMA in Horn Performance in 2015 from the University of North Texas where she studied with Dr. William Scharnberg. Her dissertation, “Determining the Authenticity of the Concerto for Two Horns, WoO. 19, Attributed to Ferdinand Ries,” hopes to bring recognition to the relatively unknown work. In the last year, Dr. Laursen performed the work at both the Mid-South Horn Conference in Tulsa, OK and at the International Horn Society Workshop in Ithaca, NY. As a Wyoming native, Dr. Laursen earned her her Bachelor of Music Education degree from the University of Wyoming in 2006. She received her master’s in Horn Performance from UNT in 2008. 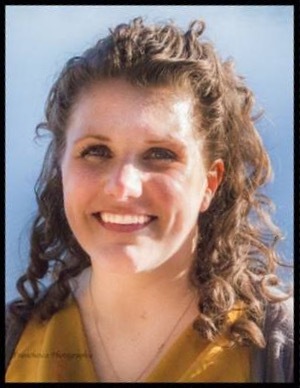 Before returning to UNT to begin her doctoral degree in the fall of 2010, she taught elementary general music, band, and orchestra for two years in Gillette, Wyoming. Additionally, she has taught private lessons in the Dallas-Fort Worth area and in Arkansas. Dr. Laursen currently performs with the Northwest Iowa Symphony Orchestra (Sioux Center, IA) and substitutes with the Sioux City Symphony Orchestra (Sioux City, IA). 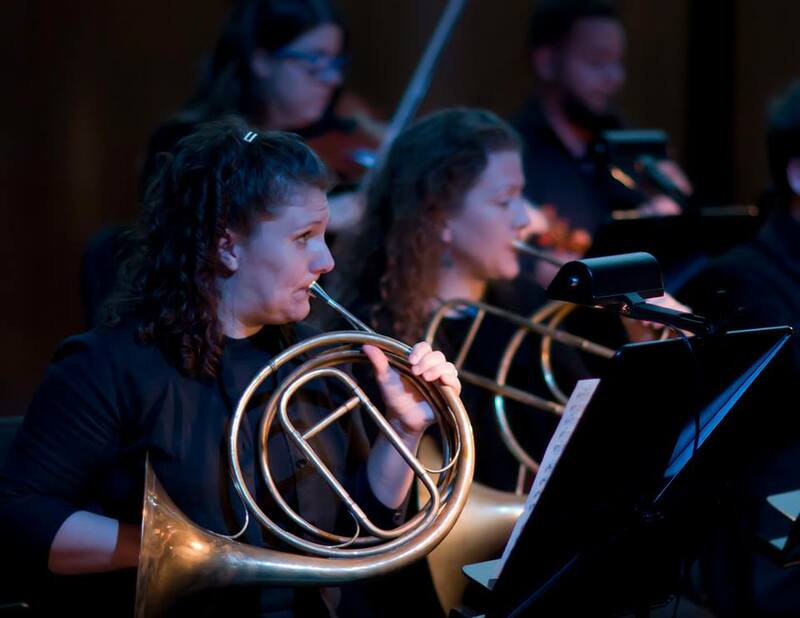 Additionally, she continues to play with natural horn with the Orchestra of New Spain (Dallas, Tx). In addition, Dr. Laursen’s hobbies include gardening, canning, and yoga. She and tubaist, Dr. Todd Cranson recently got married, and they have a little dog named Joey.